aura_jewelry has no other items for sale. Estimated between Thu. 9 May. and Fri. 24 May. 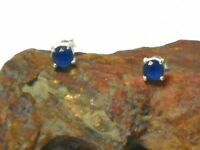 Blue Sapphire White Topaz Overlay 925 Sterling Silver Bracelet Bangle 7-8"
SAPPHIRE Sterling Silver 925 Gemstone Ear STUDS - 6 mm - Gift Boxed!! 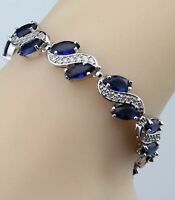 Blue Oval Sapphire Gemstone 925 Sterling Silver Bracelet Bangle 7-8"
Blue Sapphire White Topaz Tennis 925 Sterling Silver Gemstone Bracelet 7-8"
Product Weight: 7.2 Grams Brand: "Handmade"
Estimated between Wed. 8 May. and Tue. 21 May. Estimated between Tue. 30 Apr. and Mon. 13 May.